One avenue for doing so would be through the U.S. Air Force’s Launch Services Agreement competition, which plans to provide several awards to companies to help fund development of prototype launch systems, though initial test flights, to end U.S. reliance on the Atlas 5 and its Russian-manufactured RD-180 engine. Proposals for the competition are due to the Air Force Nov. 20. Shotwell said after the talk that BFR could be used to launch some of the heaviest national security payloads envisioned by the Air Force in the 2020s. Most of those payloads, she said, can be served by the existing Falcon 9 and the Falcon Heavy, whose first launch is scheduled for late this year. The Air Force gave SpaceX an award last year through a cost-sharing arrangement known as Other Transaction Agreements to support Raptor development. The original Air Force contribution was $33.6 million, and last month the service added $40.7 million to the agreement for additional work. Shotwell said that the benefits of such public-private partnerships were demonstrated by NASA’s Commercial Orbital Transportation Services (COTS) program, which provided funded Space Act Agreements to Orbital ATK and SpaceX to develop commercial cargo transportation systems. For SpaceX, that led to the development of the Dragon spacecraft and Falcon 9 rocket that she described as the “workhorses” of the company today. SpaceX has also partnered with NASA on the development of a commercial crew system. Shotwell said she believed the company would be able to complete both an uncrewed and crewed test flight of its Crew Dragon, or Dragon 2, spacecraft to the International Space Station in 2018. Shotwell, though, had no updated on a related commercial human spaceflight effort. 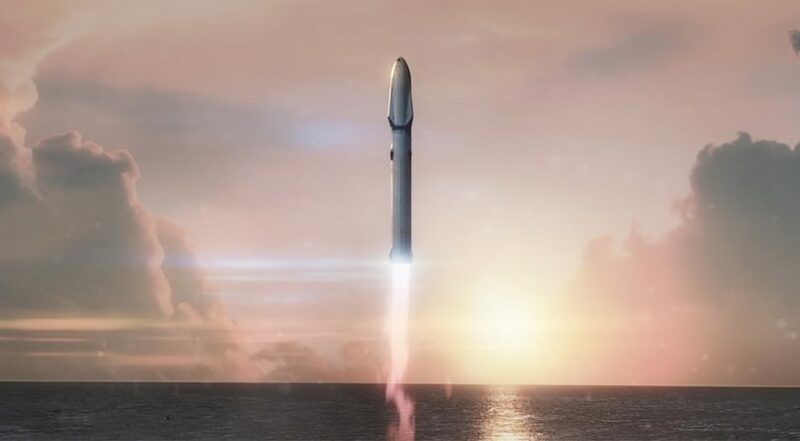 In February, SpaceX announced that it planned to send two paying customers on a circumlunar mission on a Crew Dragon, launched on a Falcon Heavy, in late 2018. The company has provided no updates on the status of that project since the announcement.